The Mind's Own Physician: A Scientific Dialogue with the Dalai Lama on the Healing Power of Meditation provides a fascinating overview of the current scientific findings on the benefits of meditation and mindfulness practice, including how they impact the brain and facilitate healing. 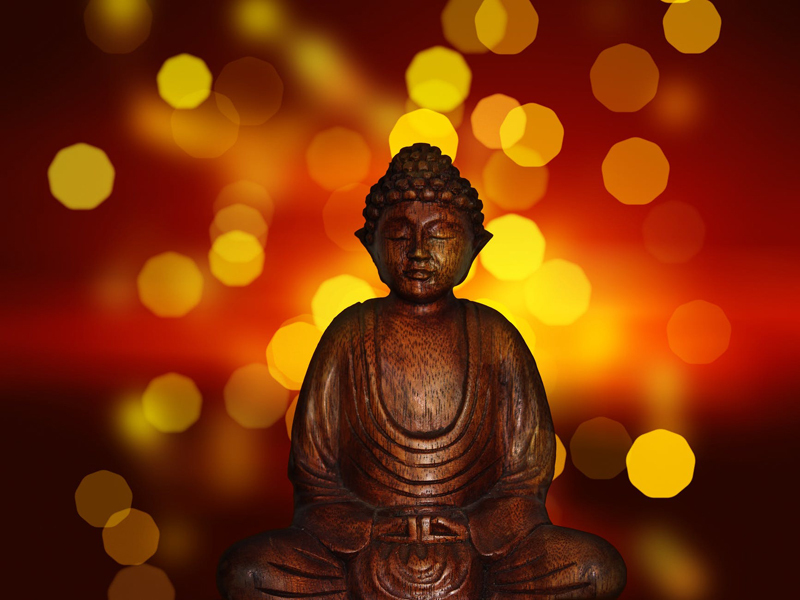 It was released by the Mind and Life Institute, a non-profit organization that has worked closely with the Dalai Lama, other Buddhist leaders, scientists, psychologists and many other researchers to facilitate a dialogue between the scientific community and contemplative traditions, particularly Buddhism. I will admit that this book was different from what I was expecting, although I ended up finding it extremely valuable. Based on the subtitle and the cover shot featuring the Dalai Lama speaking, I was expecting the book to be a collection of talks given by the Dalai Lama on this subject, with the 'dialogue' being questions posed to him. 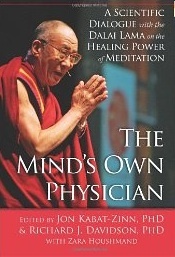 In fact, it is almost the reverse - in 2005 a collection of scientists, psychologists, and clinical practitioners each presented their latest research on topics related to mindfulness, meditation, neuroscience, and how these intersect with mental and physical health, to the Dalai Lama at a conference sponsored by the Mind and Life Institute, and this book is an edited transcription of this conference. Although the Dalai Lama is asked questions and does participate in parts, most of the speaking is not done by him. However, the information presented is fascinating, and done in bite-size chunks that lay readers can mostly understand ('lay' referring both to non-Buddhists and non-scientists.) I say 'mostly' because although I am very familiar with Buddhism, I am most definitely not a neuro-scientist (although I have read a lot of meditation related research), and the more technical brain discussions did get a bit over my head. However, in most cases the question and answer sessions brought things back down to a practical level that I could understand. The conference sessions, and the book, are divided into 5 themed sections: Meditation-Based Clinical Interventions, Biological Substrates of Meditation, Meditation and Mental Health, Meditation and Physical Health, and Integration and Final Reflections. Each features 1-3 speakers presenting their research, followed by a panel discussion with questions and answers (in some cases including questions from the audience.) The panels are themselves a who's who of Western Buddhism, featuring names that will be familiar to many - Sharon Salzberg, Jack Kornfield, Alan Wallace, Jon Kabat-Zinn and more. For the first time a Christian representative, Father Thomas Keating, was included in the conference as well. - Patients suffering from chronic pain showed a marked decrease in their reported pain, comparable or even better than pain medication in many cases, with just 8 weeks of mindfulness (MBSR) training, and the improvement lasted for up to a year. - When patients undergoing UV Light treatment for Psoriasis were taught a complementary healing meditation to do as they received treatment, they healed at a rate 4 times faster than those who did not incorporate the meditation into treatment. - When given a flu vaccine, the bodies of regular meditators produced a significantly higher level of antibodies in response than non-meditators, indicating their immune response is stronger overall. - Long-term meditators experience permanent brain changes including a heightened ability to recognize their quality of mind, which contributes to their ability to focus and achieve clarity in any task, and a heightened ability to generate compassion and 'other-related' focus, as opposed to only 'self-related' focus. - Although often associated with relaxation, meditation is in fact a very active state, generating brain waves associated with creativity and focus, while de-emphasizing those associated with mental activity. - Patients suffering from clinical depression who underwent mindfulness based cognitive training (MBCT) had a markedly lower recurrence rate than those who only received standard treatment. These are just a few of the many findings presented in the book. If you are looking for a current overview of the science behind meditation and mindfulness, and how these may impact humanity on many levels, this is a great offering.